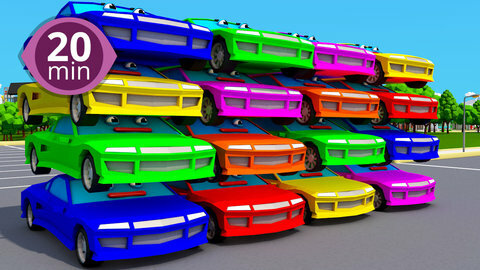 3D educational car cartoons are the new way to learn colours, shapes and songs! As the orange tractor brings by a truckload of playground balls, the excavator digs into the pile and pulls out a unique shape. Can you identify each shape he throws into the air? Guess what, you'll also get to sing your nursery rhymes along with this video! Check out many more free cartoons for boys and girls at SeeZisKids!